Nha Trang Beach Festival becomes one of the most exciting festivals in Vietnam when summer comes. The festival is held every two years in Nha Trang Beach. 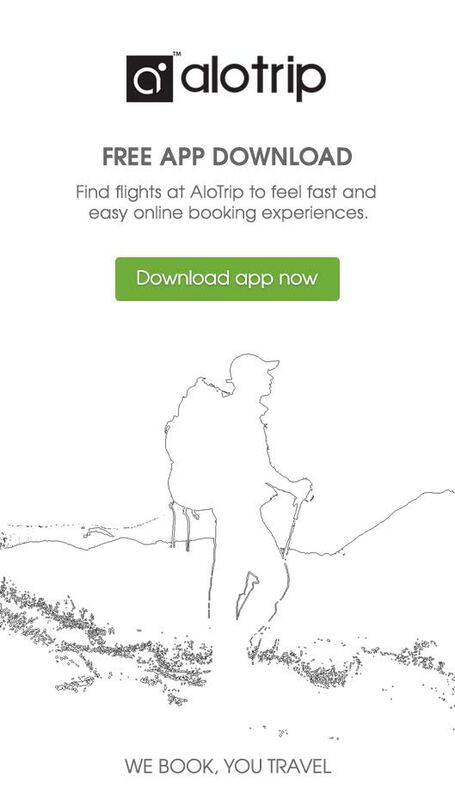 This is an outstanding cultural activity appealing both domestic and international tourists. Nha Trang Beach Festival is one of the most fascinating festivals in Nha Trang, especially in summer. 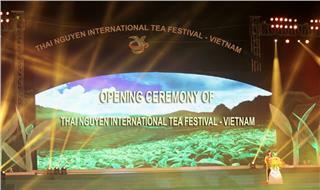 The festival is organized every two years in Nha Trang Beach. 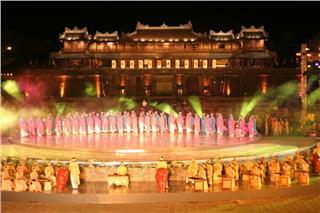 This is a striking cultural activity appealing a large number of domestic and international tourists. 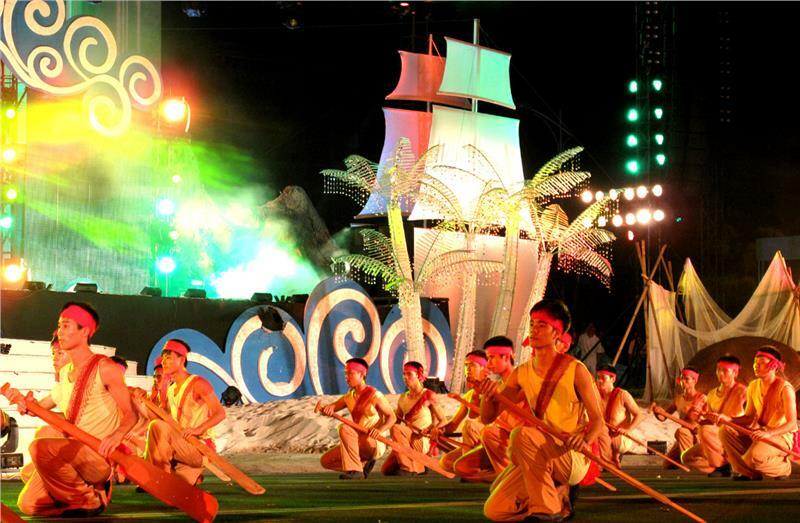 Tourists will have the opportunity to participate in many vivid and unique activities of culture, art, and sports in the framework of Nha Trang Beach Festival. Interestingly, the street festival along the coast of Nha Trang beach often has the participation of local and international delegations. They will show many outstanding exhibitions of art on the beach. Many other traditional activities take place during this event. Performances of water sports like parachuting, volleyball attract a great number of tourists. In addition, Cham culture exhibition should not be missed in this festival. Every two years, Nha Trang Beach Festival is organized in the exciting and colorful atmosphere of the beach city. It is often held in June. 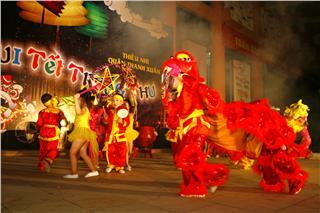 It is one of the most looking-forward festivals in Vietnam in a year. Nha Trang is chosen as the venue of the beach festival for the pure beauty of beach and people here. Nha Trang possesses the most wonderful and untouched beaches. The climate here is cool and comfortable. Living in Nha Trang, you will find one of the best lifestyle. Nha Trang beach is gentle, charming and romantic, which creates inspirations for many artists coming here. Nha Trang is not just the official venue of Nha Trang Beach Festival, but also ideal place of important competitions such as Miss Vietnam, Miss World, Miss Universe, and Miss Earth, etc. 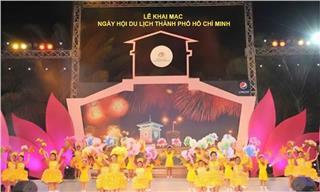 Nha Trang Beach Festival was firstly held in 2003 with more than 20 activities of tourism, culture and sports. Inspired by the sea, it is one of new Vietnamese festivals having program on cultural and artistic exchange with activities of sports, information, education, and commerce. 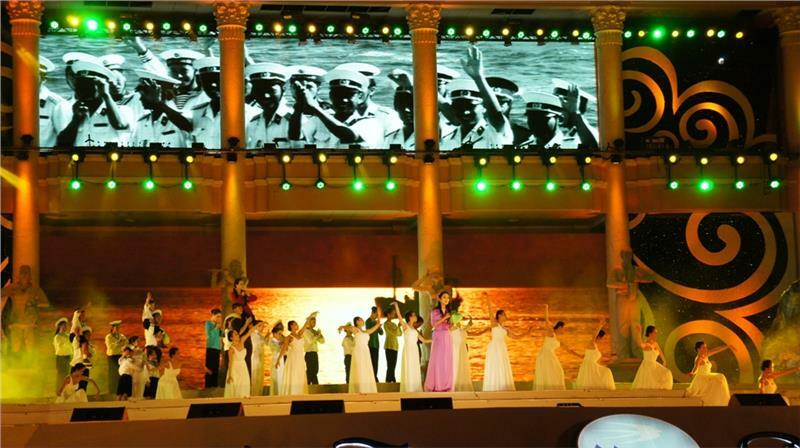 More importantly, the festival is a chance to promote the unique beauty of this province from countryside to urban coastal area, and develop tourism in Nha Trang. At the same time, local international tourists have the opportunity to learn more about the culture in Nha Trang. The festival becomes a prerequisite for the coming ones. 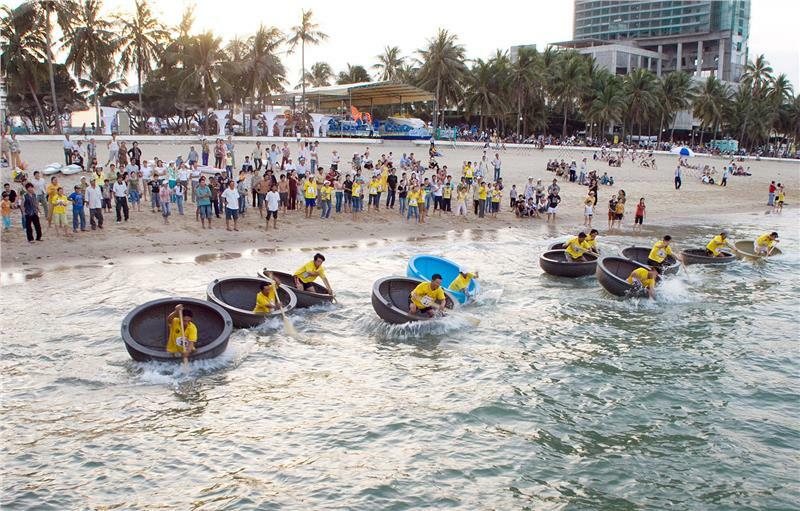 Tourists will have the opportunity to participate in many vivid and unique activities of culture, art, and sports in the framework of Nha Trang Beach Festival. Interestingly, the street festival along the coast of Nha Trang beach often has the participation of local and international delegations of sand art exhibitions such as sand reliefs on the beach; or paintings exhibitions about the beauty of sea. Many other activities such as nests festival, ritual of worshiping nest ancestor, dropping marine creatures to renew aquatic resources, traditional festivals also take place during the beach festival in Nha Trang. Performances of parachuting, sea sports such as volleyball, Sepak Takraw, water motor riding attract a great number of tourists. In addition, Cham culture exhibition, chess contest, flying artistic kite, colorful street parades of actors, old cyclo and Vespa, marine cuisine, night fishing, and night excursions are should not miss activities in this festival. 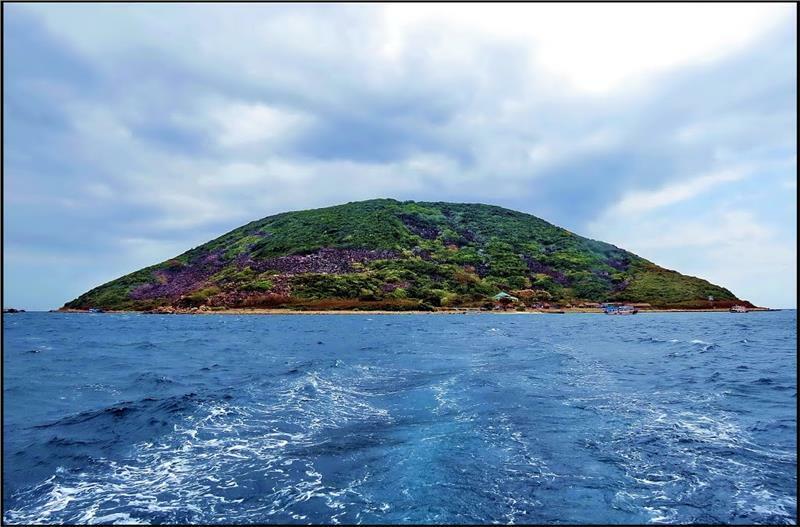 Visiting the island of oats, diving at Hon Mun to see coral reefs – one of the richest types of coral in the country is indispensable experience during the festival and in Nha Trang. In particular, since 2011, the Nha Trang festival has more activities with major topics towards islands and sea. This contributes to affirmation of Vietnamese sovereignty to the Spratly Islands (in Khanh Hoa Province). A Spratly Islands Workshop with photos exhibition and films, map made of coffee beans is improved significantly over years of the festival. The young generation has the opportunity to better their understanding, and highly appreciate the course of building and protecting the country of Vietnamese ancestor. Through the festival, love and responsibility of Vietnamese people are evoked in preserving their islands and homeland. Nha Trang Beach Festival itself is an outstanding and unique cultural feature in Nha Trang, which is looked forwarded by both local people and international tourists. Overall, this festival is an extremely spiritual “dish” having significant meaning to local people and tourists. 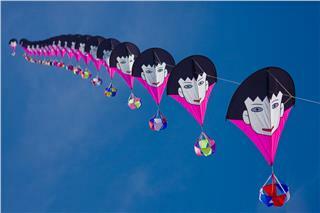 Vung Tau International Kite Festival is a new festival in Vietnam. The festival is held every year since 2009. Vung Tau International Kite Festival has undergone five times of organization. Here is the convergence of many international kite clubs. Buon Ma Thuot Coffee Festival is an important event in Dak Lak Province (in Central Highlands). 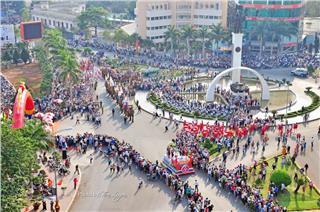 The festival is organized every two years in Buon Ma Thuot City. The coffee festival is also held in other provinces to promulgate Buon Ma Thuot coffee. 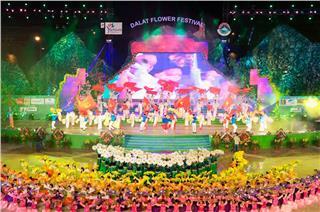 Dalat Flower Festival is one of traditional events having branded for the homeland of many hidden charms. Organized in the city considered as The Little Paris of Vietnam, this festival promisingly attracts thousands of tourists to Dalat. 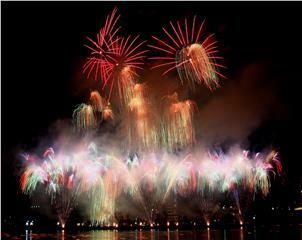 Mid-Autumn Festival in Vietnam is often held in the eighth lunar month. It is one of the most important and meaningful festivals in Vietnam. It not only recalls the family love and reunion, but is also a festival for both children and adults in Vietnam. 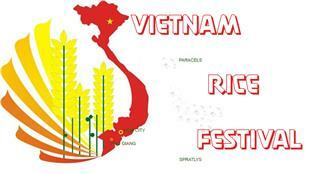 Vietnam Rice Festival is a political, economic, cultural, social, and tourism event organized in a nation scale. It plays an important role to honor Vietnam farmers and Vietnamese rice brand to international market. Thai Nguyen International Tea Festival is a great opportunity to further promote tea, tea products and Vietnam tea culture to the international customers; simultaneously, promote tea trade among participating countries. 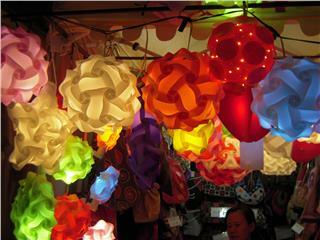 Vietnam Lantern Fesival is one of four most important and biggest festivals when the Moon is full during a year, including Tet Nguyen Tieu (the 1st month), Vesak (the 4th month), Vu Lan (the 7th month), and Mid-Autumn festival (the 8th month). 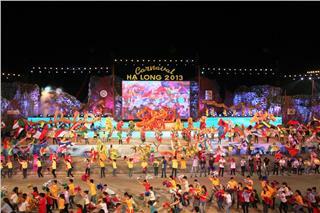 Halong Carnival is a famous cultural and tourist event organized annually in Vietnam. The festival is not the chance for Halong promulgate its image to the entire world, but also an opportunity for exchanging cultures between other neighboring countries. 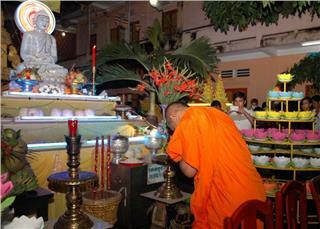 Ok Om Bok Festival is one of the most important festivals of Khmer people in Southern Vietnam, especially in Tra Vinh. The festival is often celebrated on the 14th and 15th days of the 10th lunar month to pray for good harvests, weather and happiness. 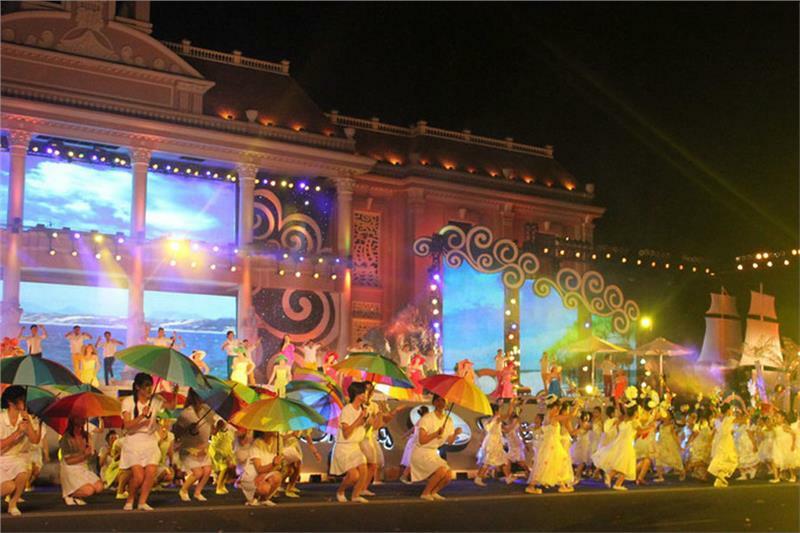 Hue Festival is worth one of the most marvelous festivals in Vietnam with excellent performances from domestic and foreign art troupes. It plays an important role in promoting beautiful images and potentials of ancient capital land over the world. Ho Chi Minh City Tourism Festival is a golden opportunity for enterprises to expand exchanges, strengthen cooperation. With its unique and attractive activities, the festival promisingly attracts more and more visitors.